What’s New at the OLD Ballgame? 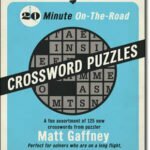 The two most successful table-top baseball games, APBA and Strat-O-Matic have already celebrated their 50th anniversaries. 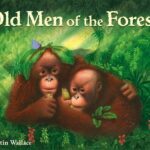 Those who embraced this hobby in their youth are now mostly in their 60’s and 70’s and either nearing or in retirement. Today’s youth are enamored with computers, 3D graphics and stats being accumulated for them. Since the demand for table-top baseball games is shrinking as its target demographic declines, why is there still a proliferation of new baseball games? 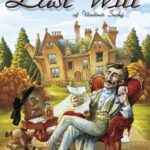 With the advent of the Internet, it has become easier for a niche publisher to market a game by setting up a web-site and allowing those of a similar mind-set to download PDF docs and print their own sets at home with a very small investment all around. But does it make sense to re-invent the wheel? George Nebesnik from Hobart, NY is a sports gamer who obviously cut his eye teeth on Jim Barnes Statis Pro Baseball (see GAR Baseball on the Table-top #3, games of the 70’s). George uses a modified form of the Pitcher/ Batter Control mechanic from Statis-Pro Baseball in Dice Baseball but manages to correct many of that game’s flaws by adding his own design touches. Dice Baseball uses two different colored 10-sided dice to produce result #’s from 1-100. If the first roll is within the pitcher’s control range (say 10-60) the result is read off the pitchers card against the handedness of the batter. Unlike Statis-Pro Baseball, results off the pitcher include extra base hits allowed, especially homeruns. Fielders are rated for both range and error propensity, but require re-rolls off additional charts. The production values of Dice Baseball are inconsistent. It has a sturdy generic box with a logo sticker, professionally printed and mounted game board, and die-cut monochrome player cards. It also has laminated supplemental charts that often override the original charts printed on the mounted board as well as ballpark charts for each year that correlate to power ratings for batters. The original Dice Baseball cards were so poorly arranged that they could make one dizzy. With the help of avid gamers, the card layout was recently revamped and is easy on the eyes (amazing what proper use of fonts and white space can do). Sets are being gradually re-released in the new format, both printed and as PDF documents. George has been very responsive, on his Delphi forum, to game improvements and suggestions for new card sets. A free downloadable trial game with a few sample teams is available at the Gen1400 web-site. Anyone who was a Statis Pro fan should take an immediate liking to Dice Baseball. 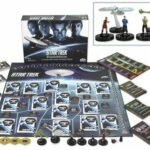 The base game is $30 with card sets also priced at $17 to $30 per season. So what happens when an avid sports gamer from Idaho, Chris Davis, embraces all the new-fangled baseball statistics that the SABR-metricians offer up? 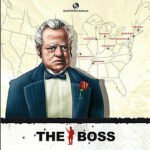 Inside Pitch is an innovative game, based on DIPS (Defense Independent Pitching Stats), a theory that the only outcomes a pitcher can really control are homeruns, strikeouts, walks and HBP…the other outcomes being balls in play that are largely dependent on the fielders behind him and the ballpark. As a result, Inside Pitch uses an innovative pitcher-batter confrontation mechanic. Two different colored d6 are rolled to determine column and row off the 36 boxes on the pitchers card. 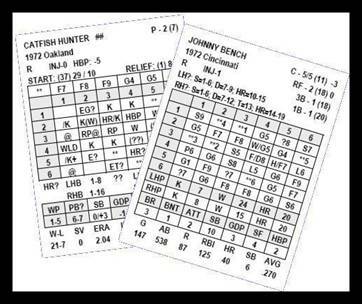 If the result on the pitchers 6×6 matrix is a HR, K, W or HBP, then there is a d20 ratings check on the hitter’s card (separate range vs. righty and lefty pitchers). If the rating check is positive the result from the pitcher’s card stands. If the rating check fails the batter gets to roll on his 6×6 matrix. A blank box on the pitcher’s matrix results in the batter rolling while a ‘@’ result leads to a re-roll on the particular ballpark in play. Each ballpark has its own card with a 6×6 matrix. The interaction between pitcher and hitter is unique and solves any pesky outlier problems of hitters with low batting average, walks or strikeouts relative to league average and pitchers with similarly skewed stats. Since the overwhelming majority of results come from the pitcher, hitter or ballpark matrices, there is very little need for reference to outside charts. Only fielding chances where there are rating checks and base running require outside charts. The base running does take some getting used to and has the only significant learning curve in the game. Playing time of 30-45 minutes makes Inside Pitch a medium length game that is nevertheless quite thorough in simulating most of what occurs in MLB. The original cards for Inside Pitch (shown above left) were monochrome laser printed on perforated stock or as PDF docs. Inside Pitch has since added both options in team colors (as seen at right), making the cards far more attractive. Invest in a corner-rounder (commonly used by scrapbook aficionados) and the resulting cards are both very readable and attractive. Consecutive seasons from 2007 thru current season are available as well as 14 past seasons ranging from 1956 to 1995. Chris relies on RetroSheet statistical data to create his cards, so is limited to seasons that RetroSheet has researched from box-scores. Game parts sell for $15 postpaid with individual season priced from $34 to $67 (depending on # of teams in MLB that season). 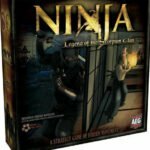 Those wishing to save can order PDF docs of the game charts and cards. Illinois native, Dean Patino, designed his original 2D6 version of Baseball Classic in 1987 and had been tinkering by adding a 3D6 ‘Vortex Edition’, 4D6 ‘MVP Edition’ and a 2D10 ‘Matrix Edition’. All three current editions feature colorful batter and pitcher cards with a stated goal of being easy to play within five minutes of opening the box or printing your own set at home. Baseball Classics is essentially a 50/50 game with half the rolls being on the batter and half on the pitcher. (Use a provided binary die for pre-printed sets and your choice of methods for PDF print it yourself sets.) A very high percentage of results come directly from the attractive color coded cards: green for hits, red for outs, blue for strikeouts and yellow for walks. For its stated goal of providing a basic game that is fun to play for beginners and kids, Baseball Classics succeeds. The problem, for more serious baseball game fans, is what is missing – namely righty/lefty splits, detailed fielding and base running. Ratings for fielding are generic and don’t differentiate between range and error propensity (or even where the ball was hit). There are separate generic ratings for bunting, stealing and base running. 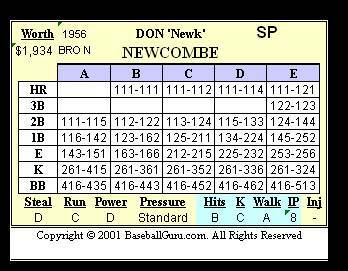 Fielding can be handled on a team basis (like APBA Basic) by adding up points for the entire team to handle errors or by a convoluted ballpark matrix to determine where a ball was hit. Baseball Classics has rated all seasons from 1901 to present as well as producing specialty packs of teams, both pre-printed and down-loadable eGame team sets. Craig Tomarkin released the Guru’s Famous Baseball Game in 2001. The concept is simple. The Guru gives you the game parts as a free download and you buy just the team sets you want. Pitchers are rated for Hits, Strikeouts and Walks on an ‘A’ to ‘E’ scale. Three different colored D6 yield a 3-digit number between 111 and 666. Look up the number rolled starting with the column for pitcher’s Hits, then Strikeouts, then Walks until a result is found. If no result then an ‘Out’ chart is utilized. Position players are given ratings for ‘+’, neutral or ‘-‘ for their fielding. Ratings for the infielders and outfielders are added separately, with a resulting team modifier total that effect the range of hits. There is also a DP rating for infielders and arm ratings for outfielders and catchers. Players are rated separately for stealing, base running, power and injuries and pitchers have an endurance rating. Drafting of fantasy teams is encouraged, as each player is given a “worth” in $ for salary cap purposes. 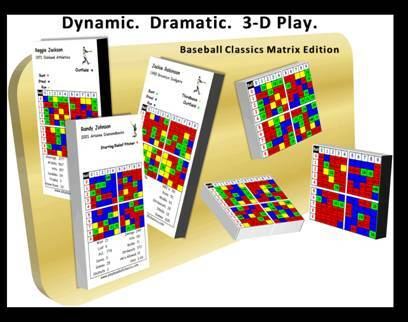 Baseball Guru is a basic game that requires few charts beyond the player cards. The Guru has rated cards for recent seasons since 2000 as well as some specialty sets with famous teams, all the historical NY Subway Series and career all-star stats for each of the original 16 MLB franchises. 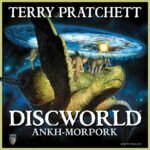 PDF card sets range from $10 to $20 each. It doesn’t get much simpler than this. Dust off your old baseball trading cards and add a standard deck of 52 playing cards. 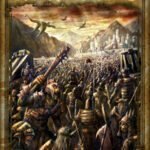 Spend the eleven bucks with Downey Games and download a handful of charts and the rules. Those who do, also get a web-link to download teams at no additional cost (as generic cards sans pictures) from baseball’s entire history. With Cardboard Baseball, you flip a card from the deck and check ‘The Pitch’ chart and compare result to pitcher’s key stat (ERA, Wins, strikeouts or walks). 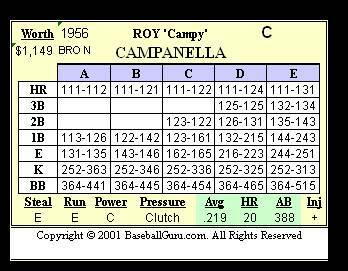 If the pitcher meets the requirement he is in ‘control’, if he fails then go to the batter’s ‘The Swing’ chart. There are a handful of charts for base advance, bunts and injuries. Put a gun to my head and make me choose my favorite baseball games, one for solo play and one for head to head play, and I’d opt for Replay Baseball and Strat-O-Matic Baseball respectively. To me, they offer the best balance between playability, components, realism (without taking things to the absurd) and have carded most of the seasons/teams that are my favorites throughout baseball’s rich history. 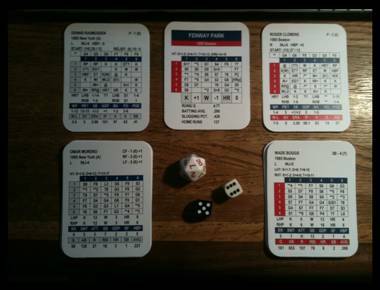 For head-to-head play, Strat-O-Matic Baseball is still the best combination between fun and realism. Sixty to seventy-five percent of die rolls yield a plain English result on a single roll. Most of the charts are easily memorized with frequent play. As a result, Strat is easy to play while the three different versions (basic, advanced and super-advanced) are all printed on the same graphically appealing cards that include key stats. Having all batters and pitchers with uniquely different cards, makes for delightful second guessing of one’s managerial decisions. Replay Baseball is ideal for solitaire play. The unique interaction between pitcher and batter by adding their ratings on all rolls is what makes the game ‘tick’. Having the game control base running, stealing, tiring of pitchers and infield positioning makes Replay an ideal choice for replaying an entire season solitaire. 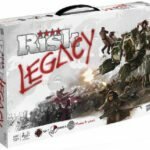 The new components, with die-cut color-printed cards, professionally printed coated tri-fold charts, optional dice-less cards and a sturdy colorful game box make Replay the most professionally printed game in the industry. For those who cut their eye teeth on APBA Basic but lost interest in the ill-conceived “Master Game”, Replay is where you should find a comfortable home. No time for keeping stats but want to see why a result happened? Replay PC Baseball is the best direct port of a baseball board game to the computer. Let the computer keep the stats but see each game unfold based on player ratings. I have thoroughly enjoyed rediscovering the hobby of statistical baseball games. It has brought back the pleasant memories from my years as a teenager through end of college, those care-free times as a student with few responsibilities and friends who shared the interest face to face. But does it make sense to “reinvent the wheel”? 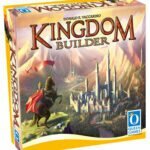 In my opinion, light to mid-weight games still play well with cards and dice. None of the recent additions to the already crowded field of beginner, kid-friendly, games measure up to the giants of the industry (APBA and Strat-O-Matic) and the only game that has broken truly new ground in the 21st century is Inside Pitch by using DIPS. But it all depends on how much realism you want. 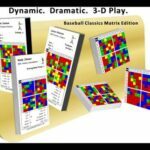 When it comes to any complex multi-step, multi-layered advanced simulation of Major League Baseball, I still contend it is better presented on the computer.